Ramsgate Town Council (RTC) took an interest because it inherited a large waiting list and a much-reduced allotment estate. TDC sat on the land for 11 years, failed to get full value for the land and also dropped a significant liability on to RTC, which it is still trying to resolve. RTC tried to negotiate and mediate with TDC, but they were adamant, and the matter ended up before the High Court (the judgement is available on our website). RTC took the best legal advice it could obtain before going to court. The High Court was asked to adjudicate on a narrow issue of process and not on any idea of fairness or equity. The judge unfortunately found for TDC and this now means that in future, any statutory allotment land can be disposed of without any legal restraint, provided that the Government gave its permission for disposal. 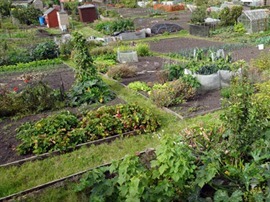 The outcome is that RTC has had to settle a large legal bill, and Ramsgate has been denied a chance to create a really first-rate allotment estate. This matters, because there is a need for more allotments, not less. The £980,000 would have been well spent on acquiring land and helping those who need it, to grow their own and to rely less on food banks. If TDC feels that they have been treated unfairly, they can explain their actions to the public at an open meeting, where they can also explain how they spent the £4.6m which they received as the proceeds of sale of the entire Manston Road allotment sale. RTC reluctantly accepts the findings of the court and will now campaign for the law on allotments to be amended so that this sort of egregious land banking will be forbidden and that more oversight will be applied towards the proceeds of any sale of allotment land in future. Should you wish to take the matter up with TDC, you can of course write to the Chief Executive or should that not be satisfactory, to avail yourself of the Freedom of Information Act 2000.